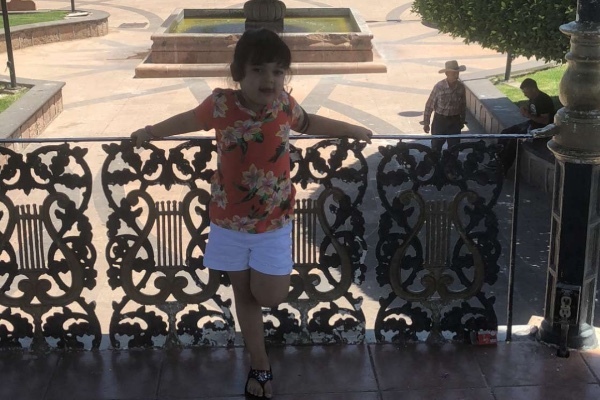 My niece Sophia along with her mom Julissa, her Grandpa Ruben, and her Great-Grandma Sara traveled to Mexico for the Summer. She was having a blast and enjoying life just as cheerful as she has always been. Sadly just a few days from coming home, our baby girl suffered a tragic accident. She was at a Carnival with her mom and was on a ride when she was ejected from her seat. Someone in the public saw and tried to catch her but unfortunately wasn’t able to. Sophia suffered major trauma to the head and her brain was swollen. Doctors intubated her and put her in a coma to help her brain rest. Doctors were waiting for MRI results when she passed away around 4am we were informed that our baby girl had passed away. Our family is in complete shock, confused, and heartbroken. Sophia was so full of life, she was the family sunshine, the one who could make us all forget about our problems with her cheerful personality. All we want is to bring our little Angel home. We didn’t set a high goal because no amount of money can fix our heartache. No amount of money can bring Sophia back to us. So if you would like to donate, we don’t ask for much. Anything is greatly appreciated and helpful to us. Thank you all in advance. cure nuestro dolor. No habrá dinero que nos traiga la vida de nuestra niña de vuelta. Lo que querían donar va ser muy agraciado. Muchas gracias.